Adobe Acrobat reader is most popular PDF reader, and its free too. But I do not like Adobe Acrobat reader because its too heavy for simple PDF reader. I just want a light weight, fast, easy and free PDF reader. Here is list of 5 best free light weight PDF reader and best alternative to Adobe Acrobat Reader. FoxIt Reader is Quick & Easy for reding PDF documents. Foxit PDF Reader is a small, fast, and feature rich PDF viewer for Microsoft Windows, which allows you to open, view, and print any PDF file. Foxit PDF Reader is secure, offering 3-three levels of PDF viewing security to protect against malicious PDF files. TDU Viewer is a free viewer for multiple file formats. The goal of this software is to replace the multiple document viewers with a single one simple application. STDU Viewer supports TIFF, PDF, DjVu, XPS, JBIG2, WWF document formats. These are the most popular formats for scientific and technical documentation. Those wishing to View/Modify or perform simple editing of PDF files on their Windows PC’s now have a FREE alternative to the Adobe Reader! The PDF-XChange Viewer is smaller, faster and more feature rich than any other FREE PDF Reader/Viewer/Editor available. This version also allows users to try the extended functionality offered by the PDF-XChange Viewer ‘PRO’ in evaluation mode – for free. No PDF reader or Viewer offers more features than PDF-XChange. The world’s smallest PDF viewer/reader to view, print, and convert PDF files to TXT, BMP, JPG, GIF, PNG, WMF, EMF, EPS. It is only 650KB for download and doesn’t need lengthy installation, just download and run. Freeware! Perfect PDF 7 Reader is a powerful alternative to Adobe Reader, offering additional features. 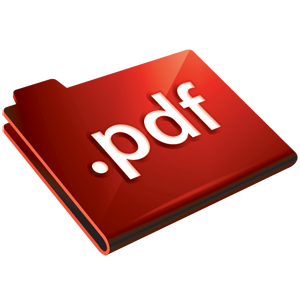 You can fill PDF forms and save them as PDF files or send via email, comment PDF documents and save them, export pages from PDFs as images (JPEG, TIFF, GIF, PNG, BMP) or metafiles.